What wines will you be serving or taking to holiday get-togethers? What wines will pair well with your festive holiday dishes? What wines are going to please Uncle Harry and Grandma Mary, plus those picky cousins who think they know everything about wine (and really don’t)? What about your astute wine connoisseur neighbor who has a truly discerning palate? And finally, what impact will your wine purchases have on your holiday budget? It’s a holiday host’s dilemma: What is going to please everyone at affordable prices? For reliable, experienced advice on choosing wines, I recommend visiting the Wine Exchange, located in Santa Ana, California. You can visit either in person or online. Recently a group of wine writers from the International Food Wine & Travel Writers Association visited the Wine Exchange (Winex) in person where we sampled some excellent holiday wine options presented to us by personable Winex owners, Kyle Meyer and Tristen Beamon. 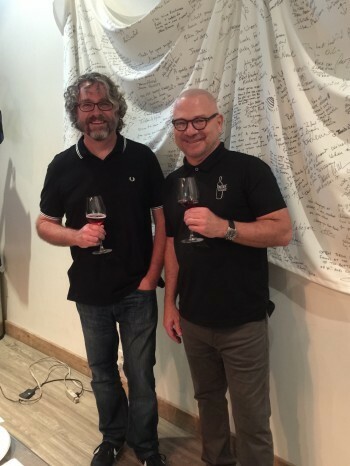 This talented duo has traveled all over the world to taste and select the wines they sell. Together they have more than 30 years of experience in wine merchandising. Their company’s mission is to make wine approachable, understandable and enjoyable—and they do just that. Focusing on wine from great producers, they sell thousands of unique, exceptional wines in all price ranges — all of which they have tasted. Here is what we sampled during our recent visit. I would highly recommend all these wines for your holiday gatherings. The perfect way to launch any gala holiday gathering is with a festive bubbly. This tasty brut is nicely dry with luscious hints of apple, pineapple, and citrus, highlighted by accents of spice. 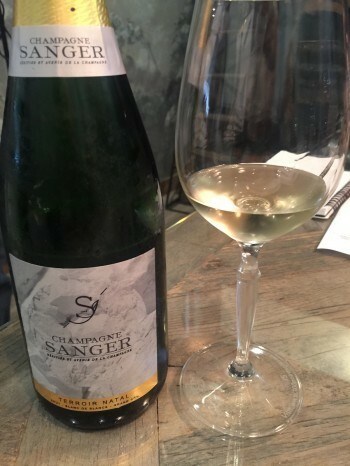 This lovely champagne paired beautifully with the charcuterie we sampled while sipping. Although this was the most expensive wine of our tasting, it is actually reasonably priced for its high quality. It is interesting that Tristen and Kyle said they did not like pairing Chardonnay with turkey, but they highly recommended Riesling, such as this estate Riesling from Germany, which would also match well with ham and even smoked salmon. I think by now most wine enthusiasts have gotten over the expectation that Reislings are always sweet. This one was medium-dry with floral and raisin flavors along with great minerality that would match well with so many holiday dishes. 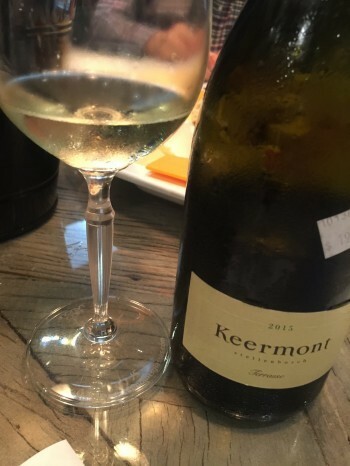 This unique, tantalizing blend (of Chenin Blanc, Viognier, Sauvignon Blanc and Chardonnay) from South Africa has understandably garnered 92 points from Wine Spectator. It is an exceptional wine with tastes of grapefruit, stone fruit, and roses. I could imagine savoring this nice blend with all kinds of fish and cheese. Our group of wine writers found this wine to be outstanding, especially considering the affordable price. The big question: Should I buy a case? This is not the swill we used to quaff in college. This is a wonderful wine from Italy with a floral nose and a touch of bubbles, highlighted by tastes of citrus and berries. The revered wine reviewer, James Suckling, actually gave this wine 93 points. I always think of Pinot Noir as a great wine for holiday pairings because it is light and versatile. It can add subtle flavor and richness without overpowering heavier foods but is also a nice match for lighter fare. 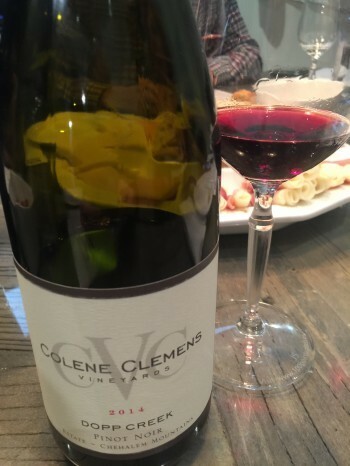 This is a classic earthy Oregon Pinot Noir with tastes of lavender, red berries, and currants. The tannins were smooth and unobtrusive. This classic Bordeaux blend of Merlot and Cabernet is a big bold savory wine that again would be perfect with rich holiday meats or desserts. I loved its tastes of red fruit, cassis, and chocolate, while I enjoyed its long finish with mild tannins. 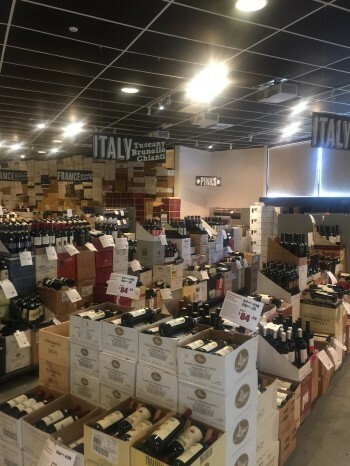 While all of these wines are excellent, the knowledgeable staff at the Wine Exchange can recommend a huge variety of wines that meet your criteria. I recommend describing what your wine needs are. How sophisticated are your wine drinking guests or wine recipients? What foods will you be serving? Do you lean toward light or heavy wines, bold or mellow, dry or sweet? What is your price range? Describe your desired wines to the Winex staff and they will help you zero in on wines that meet your goals. The Wine Exchange is located at 1544 East Warner Avenue, Santa Ana, California. Or go to their website for online ordering at https://www.winex.com.